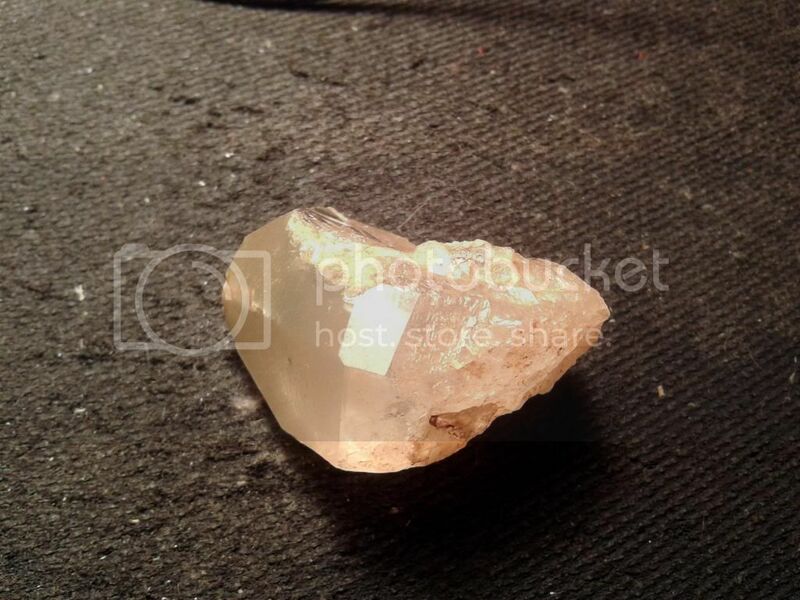 It looks like it could be quartz or calcite. Can you get a hold of lime out, which is a strong acid, and apply a little bit on a dull edge, and see if the acid bubbles? 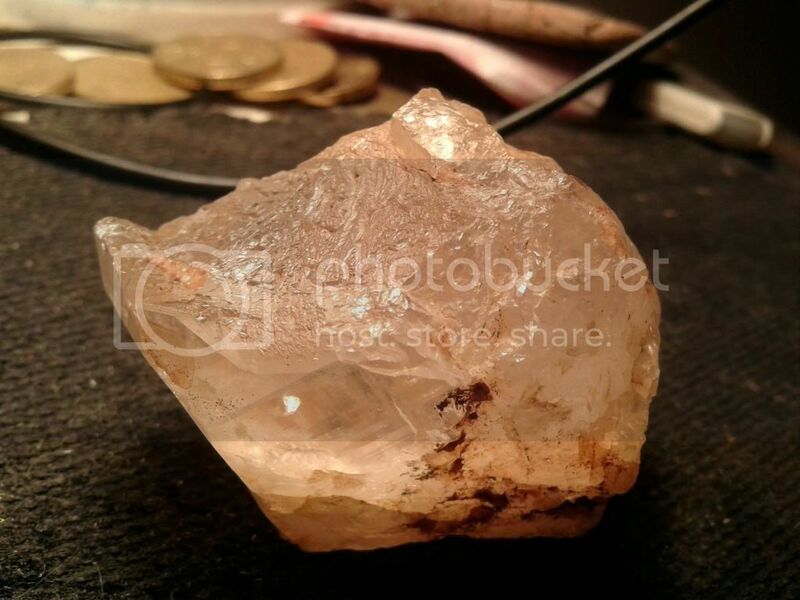 If it does bubble - it is probably calcite. Let me know what happens.